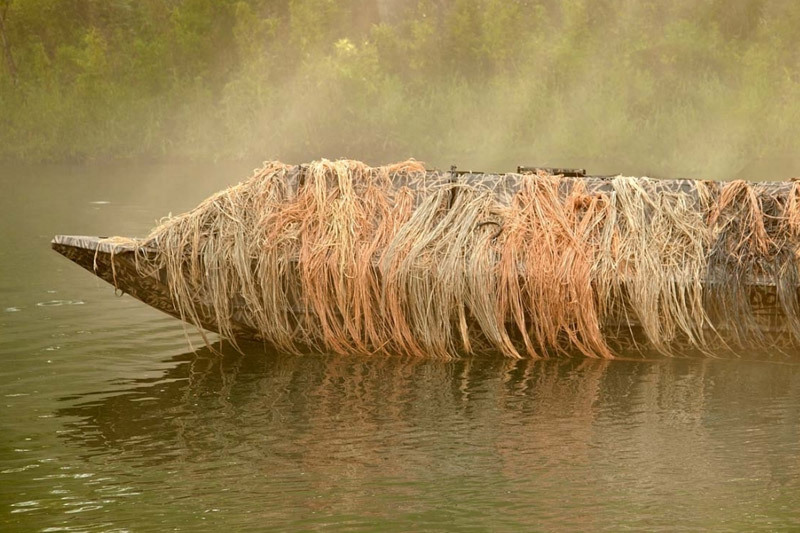 The new Roughneck Waterfowl series featuring Bust'Em™ Boat Blinds is ready to hunt the moment it hits the water. 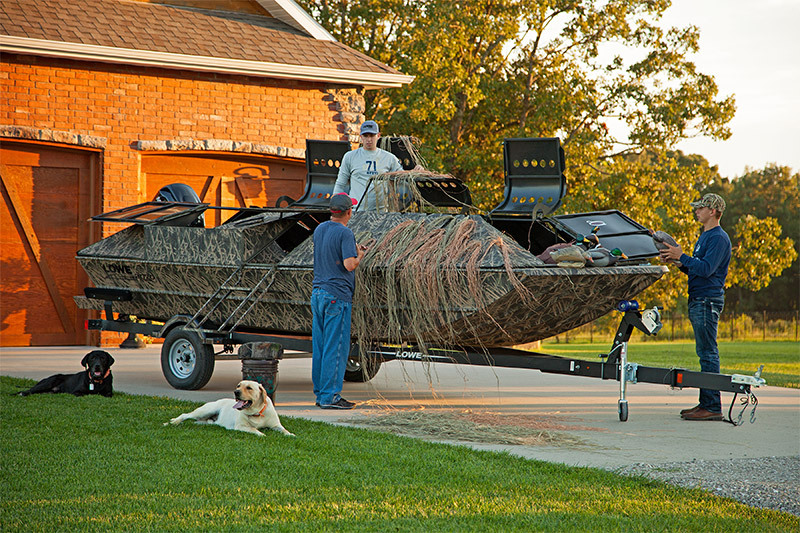 The Roughneck Waterfowl Series is one of the most functional commercially available waterfowl hunting boats available today. 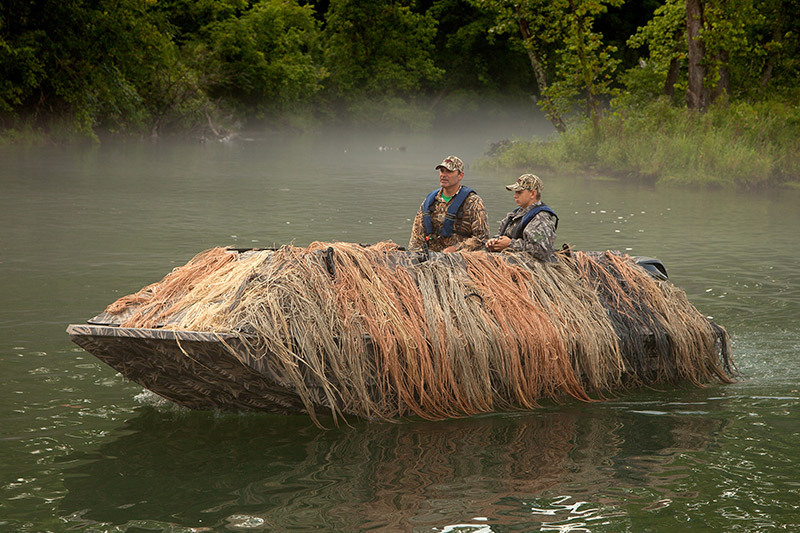 Count on seamless integration of blind and boat for superior camouflage and impeccable Lowe construction for years of reliability. 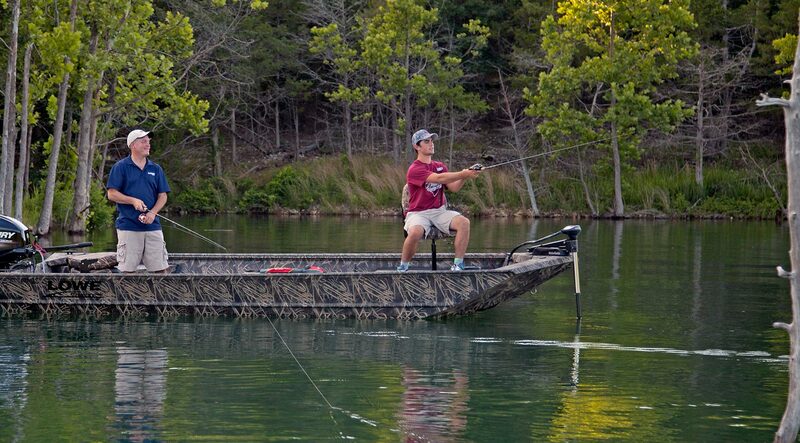 Lightweight yet durable panels conceal hunters and dogs, keeping sounds and movement concealed while protecting you from harsh weather conditions. 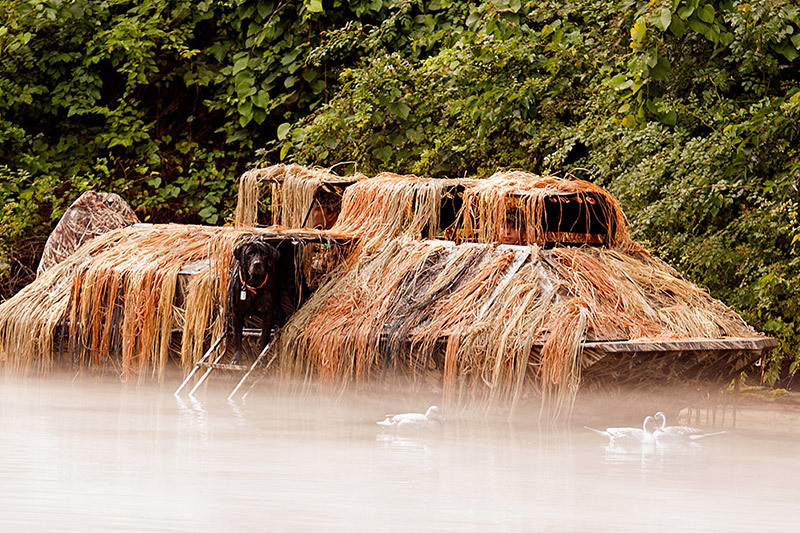 Panel edges are cut in a ‘saw-tooth’ pattern to further disguise lines and edges from waterfowl. Overhead shooting flaps are equipped with a magnetic trigger and height adjuster allowing for a completely automatic, hands-free opening that pops-up with just a touch. Opening occurs smoothly in approx 1.5 seconds. The blind’s unique design provides complete overhead concealment and 360 degree shooting for unobstructed shots. Wide enough for the biggest retrievers, the adjustable dog door can be locked into place at any height or left loose for dogs to open themselves. The integrated aluminum dog ladder with easy tow keeps the ladder out of the way until you're ready for action. The ladder is attached to the blind with spring pins for easy removal. 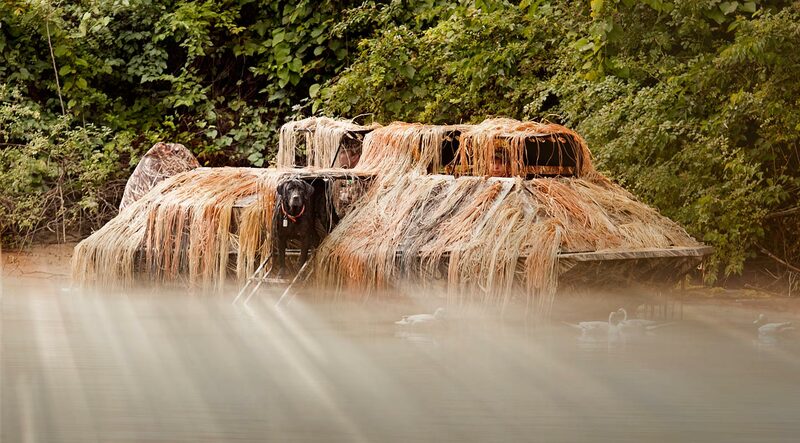 Sportsmen can maximize their boat in both hunting and fishing seasons with the versatility offered by the Roughneck Waterfowl's innovative and removable blind. Bust’Em Blinds are engineered for easy removal with all-welded light steel and aluminum tubular frames.